Sophisticated color and the timeless beauty of a Jacobean floral are combined in this elegant swag treatment. 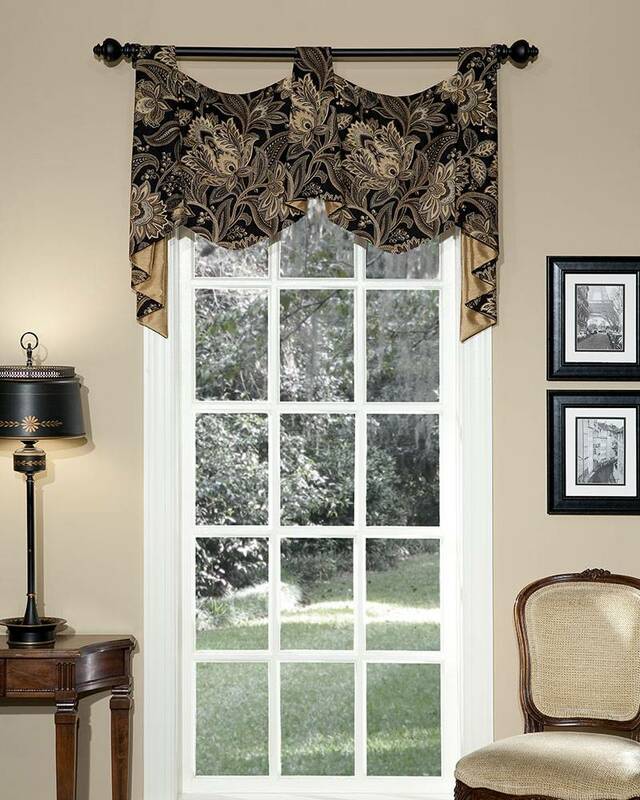 Lined with a coordinating solid faux silk fabric, Valdosta Empire Pole Swags are sure to be the focal point of any room. This distinctive swag treatment has two side jabots, and one or more center trumpets, depending upon the width of your window. Designed to be hung on a wood pole or decorative rod, Valdosta Empire Pole Swags are available in 13 widths to fit windows from 32" to 115" wide. Wider widths can be made by special order. A Pretty Windows exclusive. Made to Order in the USA.